Somatic Movement is becoming quite a buzzword and we wanted to understand its meaning before it gets lost in the next trend. It’s like, you know, after some time, it’s just awkward to ask what someone’s name is so here is an interview with Tara Eden so no one needs to feel awkward or silly. Somatic movement is about using your own body as your own learning laboratory to understand about yourself, not only physically but also mentally and emotionally. 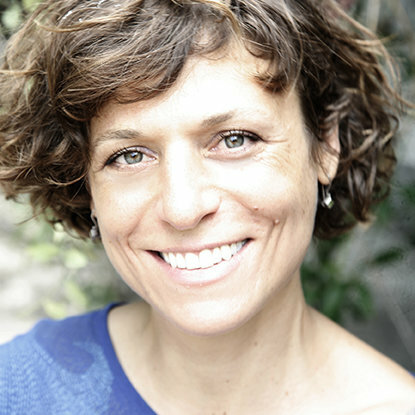 Tara Eden is a somatic movement educator and facilitator and the founder of The Somatic Movement Project. She is based in Thailand, where she offers Functional Awareness Bodywork personal sessions, workshops, and retreats. She knows her stuff – anatomy, leading and facilitating one-on-one and big groups, and she makes this work that yes, some people may find boring, a lot of fun and full of humour. My name is Tara Eden and I am a somatic movement educator, facilitator and I have an extensive background in many different movement modalities, The Feldenkrais Method, yoga, creative movement, and movement therapy. There is an expression that neurons that fire together wire together and that essentially means that in very basic brain science when certain, let’s say movement patterns become very automatic, distinct mobilizations end up getting grouped together as one gross movement. So for example, if I wanted to pick a glass off the table, if I always do that holding my breath and lifting my shoulder and kind of contracting the side of my neck, eventually my brain translates immediately all those individual movement parts to the execution of one specific movement. Whereas when we improve our awareness and we can sense and differentiate our parts, then we can find more comfortable, arguably more balanced, more efficient, more elegant, more easeful ways of organizing ourselves in our movements. So if you are someone that sits a lot, then you might be interested in finding out how your brain has overly simplified to accommodate the repetition of being in a seated posture and it’s actually sort of given up paying attention to a lot of parts of you. So with a practice like somatic movement, we start bringing our awareness to many parts of ourselves and again differentiating parts of ourselves, and in doing that, we literally flush our brains with new information and once your brain has an abundance of resources, an abundance of information then it has choices. Instead of just having your default setting – I sit like this, I breathe like this, I move my eyes like this, then it starts to have access to organizing the entire nervous system so that you can operate in other ways. I have created my company called The Somatic Movement Project, which is essentially a resource for people to improve their sensing and their feeling of connectivity with their bodies and to understand the process of embodying is extremely important in terms of welcoming a different way of being, another way of being and that way of being is separate from the restrictions or limitations of our busy minds and multiple stresses and distractions. Why I created the Somatic Movement Project – it’s because I have observed in so many people that I’ve both worked with and that I love and are dear to me, that for whatever reason have been cut off from their sensory awareness of their bodies and the ways that they experience pain and discomfort or a lack of clarity, and it’s been through my experience, and my personal practice and my work that I have understood how movement can be a resource to not only find ease and peace in your body but also ease and peace in your emotional body and your thought patterns and your thought behaviour, and at the end of the day, the more aware you are of yourself the less you’re controlled by your own habitual behaviours. So for me somatic movement is a resource for personal liberation. It puts the control back in your hands in terms of how you want to navigate your life instead of navigating yourself in a way that you always have because you learned it from the social, political circumstances of your upbringing. So why is movement important? Well, movement is important because we have bodies that were built to move, because movement supports the functioning of not only our bones, our tissues, but also our systems. It also affects our mental health, our overall wellbeing. And somatic movement should not be confused with regular movement, though of course there is overlap. Somatic movement is in reference to “soma”, which means essentially the body sensed from within and so somatic movement is about moving in a way that one way or another improves your awareness. It also should not be confused with a practice like yoga where you take lessons and you are taught how to move and what you should feel and where you should or could feel it. So the difference between somatic movement and something like yoga or zumba or other movement practices gets a bit confusing because if somatic is referring to the body sensed from within you could say well then any movement practice could be somatic and I would have to say that that’s true. Any movement practice could be somatic. However generally speaking in a group class environment the emphasis is not on the sensory experience, it’s on the execution of a particular pattern or sequence or outcome. And then there is a broader motivation toward fitness or strengthening or weight loss and of course I don’t fault any of those things or any of those practices but I think it’s important to make a clear delineation between the two. I think they are a wonderful complement to one another. I think that the work I do in somatic movement feeds directly into any other movement practice because you can always enhance what you are already doing with improved awareness, sensory awareness. It also feeds into regular life because awareness isn’t going to discriminate. If you become more sensory aware of your own breathing or pain or sensations in your body, you also become more aware of other things. You’re more sensitive to what you’re observing, you are more sensitive to how you are feeling when you are speaking. So if you have a tendency toward emotional reactivity in one way or another or a tendency toward withholding, all of that we experience first in the body and the more you can improve that awareness again you don’t need to be a victim to your own emotional reactions. You can observe yourself, understand “ah this is part of my process” and maybe you choose to do things differently. Maybe you can’t. But the difference is instead of blindly doing the thing that you always do, you can at least observe your own process. I don’t know if anyone even knows what somatic movement is. It seems like it’s creeping up in the yoga world. I personally believe it’s going to be the next big thing because it is such a valuable resource, because it’s not something you need a teacher for, and because it’s so applicable to pretty much any avenue you can think of in your life. It’s a tool. It’s a brain tool that you can use to improve anything else that you are doing in your life. It’s really profound in that way. So I would say the misconception about the work that I do is either that it is yoga or that is meditation which it is neither. A lot of people feel the work that I do is not for them because they like doing activities that they feel immediate results, that they feel gratification, that they feel the burn. And in somatic movement we are initiating a process of being in a different way and that’s complicated to talk about and wholly experiential. So I think many people think “oh, it’s not for me” because it sounds boring and for many people, it probably is boring. It’s something that you have to be curious and wiling to do the work for. It’s not a class where you shut off and let the teacher drive. You go and it’s an active process of interacting and connecting to yourself and then stopping that interaction and that connection and also being able to observe. Somatic movement is an extremely valuable tool for any body that is ready to get out of their own way and start approaching their physical activities or aspects of their lives or their relationships with a renewed sense of self, a renewed sense of potential, and a renewed sense of ease and curiosity. It’s difficult to describe in words what my classes offer because they are experiences; they are not theories. It’s something that’s facilitated, not taught. I don’t consider myself a teacher. I consider myself a facilitator. What I do is provide the space and the conditions for learning, for self-learning, for self-discovery. And if and when a student is ready to initiate that process, then the only thing required is curiosity. I guarantee that the fundamental concept of shifting into an embodied state is something that is priceless for anyone.